Summerween won both the best “ranked score” and the most First place votes (almost twice as many as the next entry, The Four Seasons). Thanks to everyone who voted this year – we hope you’re prepping your skeletons in bermuda shorts! 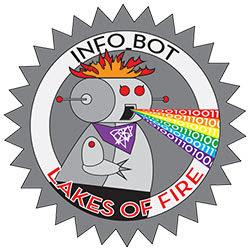 We are also excited to announce that Lakes of Fire 2019 will be held Wednesday June 12 – Sunday June 16, 2019! Theme, prices, ticketing criteria, and further details will come out as soon as we have them nailed down. Effigy Council is accepting accepting submissions for this year’s Effigy! The deadline is January 15, 2019. If you’re interested in building the effigy, please check out the details (including deadlines, restrictions, and previous successful submissions) and submit an application!